On this week’s blog, we introduce you to a special Argentinian gin. Príncipe de los Apóstoles is in fact one of our favourites here, Fazendeiros. Originating from our roots in Argentina, this unique gin is crafted in Mendoza. Príncipe de los Apóstoles (Prince of Apóstoles) is a creation from the mastermind of Tato Giovannoni, a well-known, very talented bartender who grew up close to Buenos Aires. Due to his background, Tato has had a love affair with food and drink from a young age. This is what drove him to go on to create this incredibly unique gin. This gin is named after the town of Apóstoles, which is the national capital for yerba mate; a traditional Argentinian drink with qualities similar to caffeine. Featuring mate leaves, eucalyptus, peppermint, grapefruit, juniper berries and coriander seeds, its flavours are very unique. The use of mate leaves means that this gin stands out from any other, introducing an incredible flavour of a South American tradition. Apóstoles macerates each botanical separately in a wheat alcohol base, and it’s interesting to note the different maceration times. The yerba mate leaves, eucalyptus, pink grapefruit skins, juniper berries and coriander are macerated for 24 hours in stainless steel barrels. The peppermint maceration time is only 2 hours, so it’s much shorter than the other botanicals. These are then blended and distilled in a German copper still in 200 litre batches, meaning it is very much a craft gin. 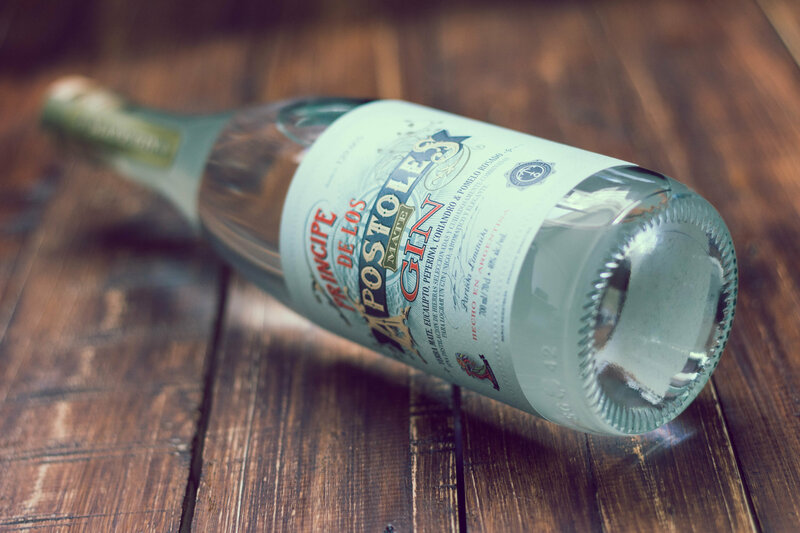 Apóstoles makes a refreshing change from the classic flavours of a London Dry gin. Apóstoles perfectly reflects Argentina and its climate, introducing a more tropical flavour. The gin also has curious underlying notes of peppermint, that finish off this unique flavour profile. It’s definitely a spirit that will pique your interest, Fazendeiros. For our cocktail menu we created ‘Rainforest Spritz’, which incorporates this incredible gin. This is our South American twist on a classic Aperol Spritz. 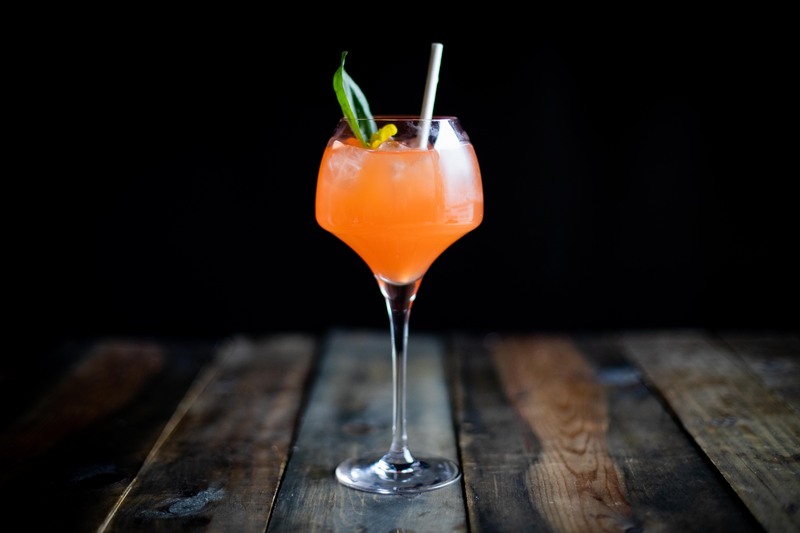 It brings together Aperol, Apóstoles Gin, orange juice and Guaraná, topped with Jeio Prosecco (Brazil’s signature soft drink). It’s fruity and refreshing, with a well-rounded, dry finish. It’s the perfect homage to a timeless drink. This fantastic cocktail is available on our drinks menu, and below you can find the ingredients and method to give it a try too. Fill a glass with ice cubes and add all the ingredients, starting with the alcoholic ones. Gently stir the ingredients together, allowing them to mix but also cool down in the ice. Garnish with the basil leaf and edible flower. You can view our blog post about our new cocktails, featuring another one of our cocktails that incorporates Apóstoles Gin here. Have you ever tried this incredible gin or our Rainforest Spritz, Fazendeiros? We’d love to hear your thoughts over on our Facebook, Twitter, and Instagram pages.